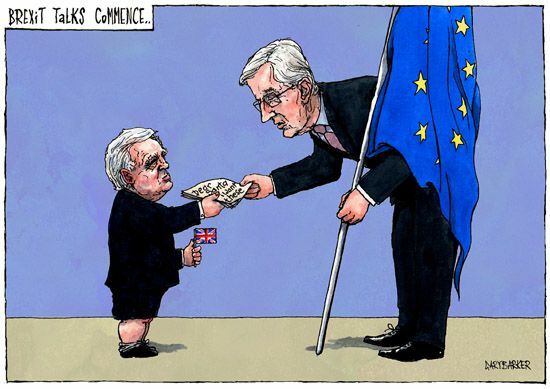 The Tory chief Brexit negotiator meets the EU chief negotiator Michel Barnier. The media try to blame the election result for the government's weakened position in these negotiations, but we always knew the UK position was always weak and any confidence of getting a good deal was based on jingoism and bluff. The truth is we have chosen to leave a paying members club and the Tories would have us believe we can keep all the benefits of being members of that club without being a paying member and ditch the bits we don't like into the bargain. It is absolutely ridiculous.